The latest film by Inuk filmmaker Zacharias Kunuk (Atanarjuat: The Fast Runner) is another intriguing look at the people and landscapes of the North. While inspired by John Ford’s 1956 western classic The Searchers, it feels wrong to call Maliglutit, which he co-directs with Natar Ungalaaq, a remake. It is much more than that. Kunuk takes the iconic tale of revenge and transforms it into a spiritual and lyrical work. In the process he reclaims the once cartoonish and damaging portrayal of indigenous people and repurposes it into something truly authentic and empowering. 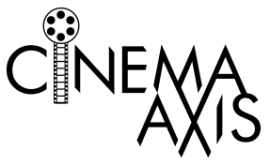 Maliglutit maintains the basic narrative structure of Ford’s film. The difference being that the central abduction in this version does not come at the hands of outsiders, but rather from within the protagonist’s own community. Returning from a hunting excursion, Kuanana (Benjamin Kunuk) is horrified to discover his igloo destroyed, relatives killed and his wife missing. This sets in motion a harrowing journey across the Artic as Kuanana seeks revenge on the men, led by Kupak (Joey Sarpinak), responsible for the kidnapping. Providing a spiritual aspect to the proceedings, Kunuk’s film does not feel like a typical revenge tale. In Maliglutit it is not so much the hardships that one endures that is important, but rather how one copes with it. The vast and rich frigid landscape magnifies the difficulty of Kuanana’s mission and simultaneously makes the central story feel intimate. As a result, Kunuk is able to extract some truly visceral and unsettling moments throughout the film. As the viewer witnesses the atrocities that have befallen on Kuanana and his family, Kunuk subtly ponders the infectious nature of violence. For Kuanana to avenge his family, the once meek man will have to resort to some of the vicious tactics he is so adamantly against. Is possible to face such evil and not be changed in the process? Thematic questions like these provide the film with an added layer of intrigue. While there is something undeniably appealing about watching a western told through an Inuk sensibility, Kunuk never quite seems to figure out how to keep the film’s pacing consistent. For every electrifying jolt that the film offers, take the thrilling climax for example, there are equal long stretches that dilute the energy those scenes build. Though this hinders the film somewhat, Maliglutit still manages to create an engaging revenge thriller that capitalizes on the chilling sense of isolation and vulnerability it evokes. Tickets can be purchased at the TIFF.net. This review was originally published as part of our ImagineNATIVE 2016 coverage.